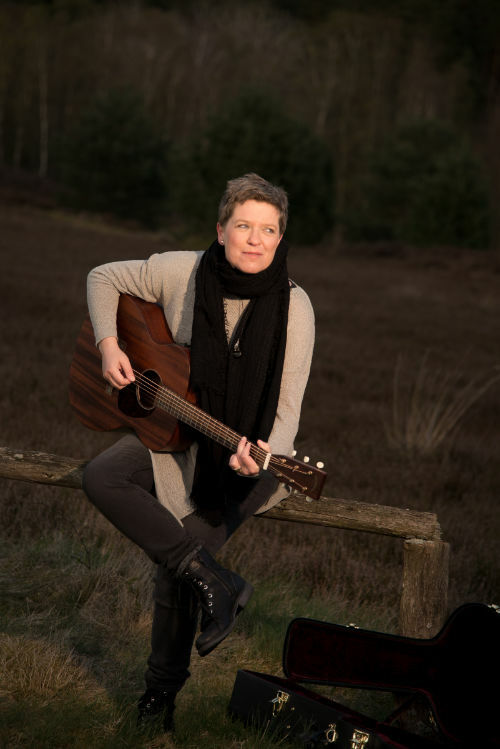 Singer and multi-instrumentalist Ulli Buth grew up in a small town in Germany and as a kid and teen she split her leisure time between communal music school and the local Scouts group. She had piano and violin lessons, she played in the orchestra and in jazz bands, and the music making went on at the campfire on hiking trips with the scouts with a guitar or a mandolin or a ukulele in her hand. She was surrounded by lots of classical music as well as folk music from all around the world, jazz and – as a kid of the 80s in Germany – by some pretty weird pop music. After leaving home for Hannover first and then for Hamburg, she continued playing in different bands and formations. She played folk dance music for dance groups, she sang in choirs, she played the fiddle in an Irish Folk Rock group (Town Fools) playing everything from Pogues songs to originals, she discovered bluegrass, got totally hooked and started playing in a bluegrass/folk/Americana duet as well as at the monthly bluegrass jam in Hamburg, she started playing with a more traditional Irish folk band (Eamon’s Daughter) and discovered a whole new world of playing the fiddle. In 2009, she traveled to the US for the first time in her life and attended the Mark O’Connor fiddle camp in Tennessee. And she had such a fantastic time that she decided to quit her job and come back for longer. She traveled all through the country, went to lots of amazing concerts and festivals, got stuck in Nashville for a while, returned to the Mark O’Connor String Camp where she was certified as a teacher of his new Violin Method, made many wonderful friends and returned to Germany in 2010. Back in Hamburg, she started her own fiddle school to spread the good fiddle vibes she experienced on the other side of the pond. Ulli Buth wrote her first song as a teen and co-wrote some songs with friends all along, but only later got into serious songwriting. She never considered herself to be a singer or a songwriter – let alone both at the same time – but it turned out that people liked her songs and she enjoyed singing them. In 2009 she had the opportunity to record five songs for her EP „Move On“, and in 2013 she finally recorded her first full-length album “Coming Home” with a convincing mixture of folk, bluegrass and oldtime, to which many of her musician friends contributed.